Do you know what March 5, 2011 was? My first anniversary as a copywriter at Fishbowl! I’ve had so much fun writing about inventory management software for a whole year. I was warned early on that it might be challenging to write weekly blog posts about such a dry topic. But 182 posts later, I’ve still got a lot more to share. This is a special installment in the Fishbowl Think Tank series. I’d like to pick my own brain to recap some of the things I’ve learned about Fishbowl during my first year to help you understand Fishbowl without having to do a year’s worth of work. Here we go! I admit I was a little lost when I first tried to broach the topic of inventory management. It seemed far too complex, and I didn’t know where to start. Luckily, I was pointed to Fishbowl’s training videos. As I watched these videos, I not only learned how Fishbowl Inventory is used, but I also learned what it means to manage, track and ship inventory. Suddenly, inventory management wasn’t so scary. Writing the Fishbowl corporate brochure was an extraordinary challenge. But it was great because as I cut a trail through the jungle of information about Fishbowl, I created an easy path for others to follow. Flip through that brochure and you’ll find it jam-packed with Fishbowl facts and features written in an easily accessible way. I covered so many topics, including Fishbowl Manufacturing Option, Fishbowl Mobile Warehouse, case studies, standalone solution and QuickBooks integration. It may give you a new perspective as you read this brochure to know that I learned everything in it as I wrote it. I’m amazed by Fishbowl’s focus on community service. Soon after I joined Fishbowl, several brave employees shaved their heads to raise $1,000 for children with cancer on St. Baldrick’s Day. A few months later I got to join in on the Fishbowl Day of Service, landscaping around the House of Hope to help women and children fleeing abusive homes. And, most recently, we held an auction to help one of our employees adopt a Ukraine girl named Victoria. The great news is we raised enough money to make that happen! Fishbowl is awesome in its efforts to serve the community. I didn’t realize how important QuickBooks inventory management is to small businesses before I joined Fishbowl. Fishbowl was one of the first companies to receive Gold Developer status from Intuit, the maker of QuickBooks. 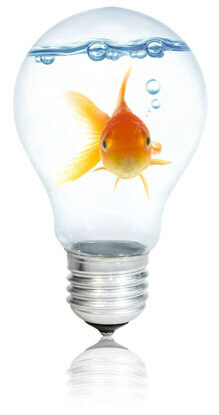 It makes sense because Fishbowl Inventory is the most popular inventory management software for QuickBooks users. It integrates perfectly with QuickBooks, allowing users to keep using the same accounting software they’re used to and add new features they need to take their business to the next level. There’s so much more I’ve learned, but I’d like to give you the opportunity to learn the rest for yourself. Start using Fishbowl Inventory today in your business, and in a year you’ll be able to look back and see how much its inventory management software helped your business. Schedule an interactive inventory software demo right now to make this your best year ever!